Ramon Torres' career started in his native Dominican Republic. It was there that he played in the Dominican Summer League in 1988. He was 17. Torres went on to play in the minors in the United States. His career there, though, lasted just three seasons. He never made AA. 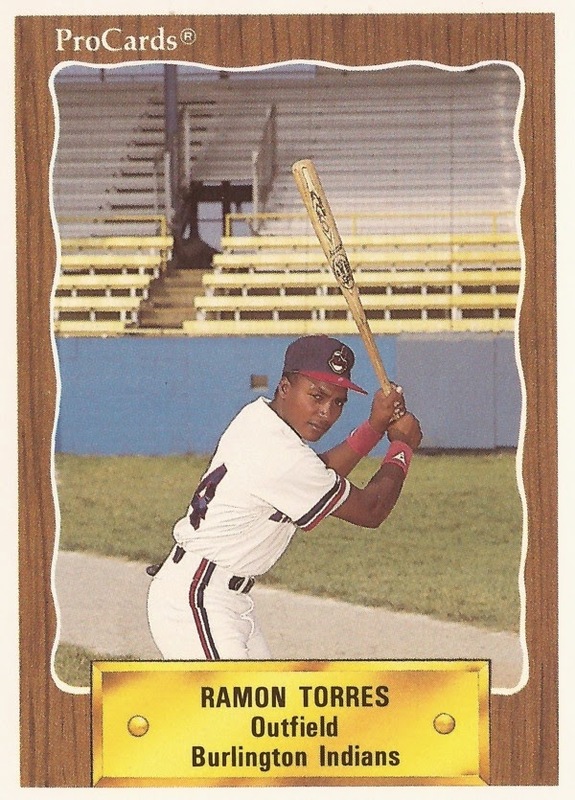 Torres' career began in June 1988, signed by the Indians as a free agent out of the Dominican. His first season in the United States came in 1989 at rookie Burlington. The outfielder got into 40 games, hitting .250. He hit one home run and had 10 RBI. He returned to Burlington for 1990. His average improved to .270. He knocked in 13 runs and he stole 17 bases. For 1991, Torres moved up to single-A Columbus. His stay, though, was brief. Torres got into five games there. He went just 1 for 18. They were the final five games of his career.